The tendency to embrace the concept of God being an angry Father is done in equal proportion to a person's inability to demonstrate His power. There is a connection between our belief system and what actually flows through us. If we don't see Jesus' life as the ultimate illustration of the will of God, we will continually undermine our ability to display it. The Holy Spirit always wants to demonstrate what God says. 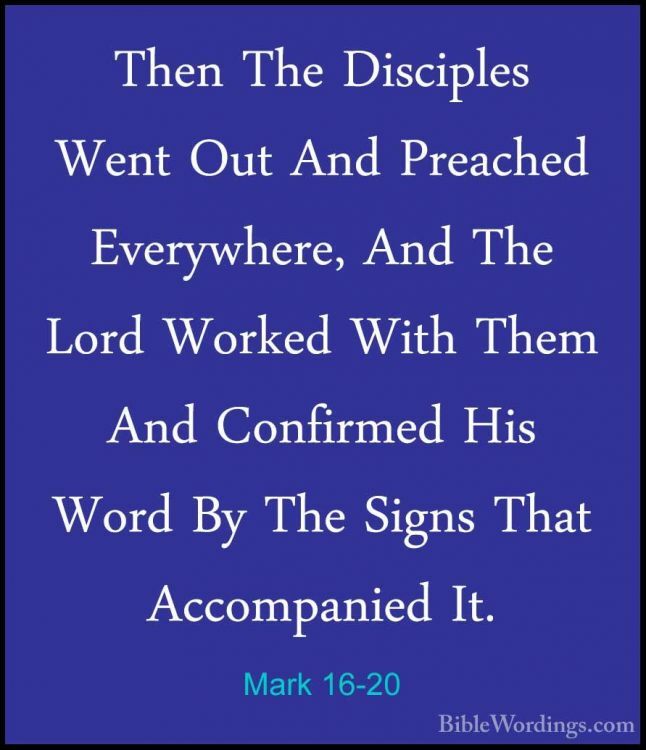 God confirmed the word with signs following (Mark 16:20). In Hebrews 2:3-4 it says, "How shall we escape, if we neglect so great salvation; which at the first began to be spoken by the Lord, and was confirmed unto us by them that heard him; God also bearing them witness, both with signs and wonders, and with divers miracles, and gifts of the Holy Ghost, according to his own will?" We know for sure that God wants to do signs and wonders and confirm His own word because scripture says so. Some Christians think is it so spiritual to say, "I don't need signs and wonders." Jesus actually relied on signs and wonders and manifestations. He went out of the way to make sure the Holy Spirit had an occasion to demonstrate the words He spoke. Jesus said, "I am the bread of life" (John 6:35) and fed the 5,000. He said, "I am the resurrection and the life" (John 11:25) and He raised the dead. He said, "I am the light of the world" (John 8:12) and He opened the eyes of the blind. God always wants to do what He says. The Apostle Paul said, "And my speech and my preaching were not with persuasive words of human wisdom, but in demonstration of the Spirit and of power" (1 Corinthians 2:4). The indwelling Holy Spirit enables us to bear more of the revelation of Jesus than was possible for the original twelve disciples. One of the essential gestures of faith is to live with the expectation that the God who said that His sheep hear His voice and who gave His life to restore relationship with each of us would like to communicate with us. This faith leads us to lean into His voice. God talks to us in various ways. He talks through the Bible which contains the Word of God, and He talks to us through the Holy Spirit who brings us life. The Holy Spirit was given the task of not simply revealing all that Jesus possesses, but to actually "disclose" it to us. Every declared promise is a transfer of heavenly resources that enable us to fulfill the purpose of our DESTINY. "The testimony of Jesus is the spirit of prophecy." (Rev. 19:10) - This says that if God has done it once, He is ready to do it again. The spoken or written record of whatever Jesus has done carries the prophetic anointing to cause a change in events in the spirit realm so that the miracle spoken of can happen again. Meditating on the promises of God is something we can do in order to determine where we're going in life. When we DECLARE the Word over our own life and prophesy our own DESTINY in agreement with Him, we release the anointing of the Spirit in a greater measure to bring the Word to pass.